Save The Blow Dry is described as the "moisture eliminating QUEEN of shower caps" and is possibly the cutest and girliest shower cap I have ever seen! 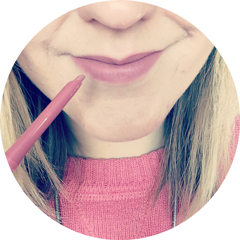 Bright pink in colour? Yes. Decorated with a bow design? Yes. 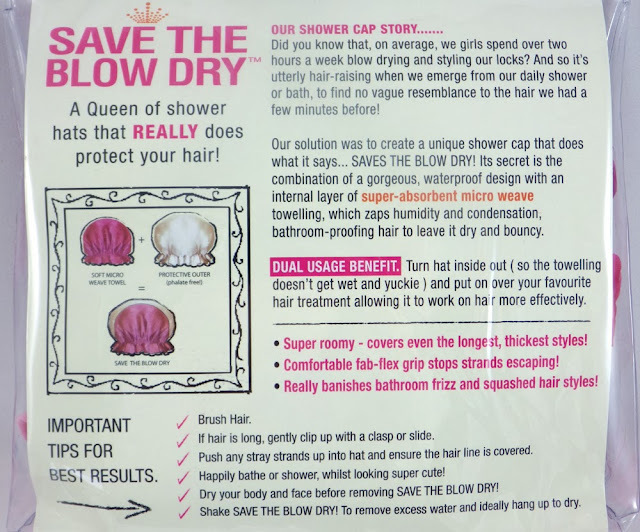 Away from the pretty design, Save The Blow Dry is a fairly new product, created to maintain blow dried locks and keep it looking as bouncy and voluminous as it did before popping in the shower or having a relaxing bath. 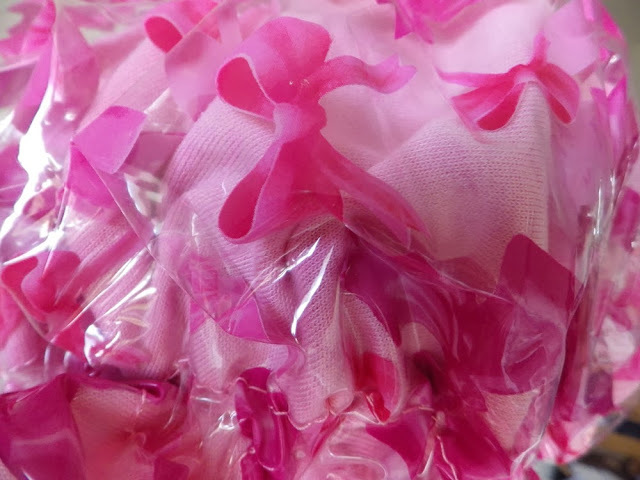 Inside the waterproof plastic outer layer is an inner layer made from super absorbent micro weave towelling, which is the key to saving the blow dry, as this layer stops the humidity and condensation from getting to your hair. 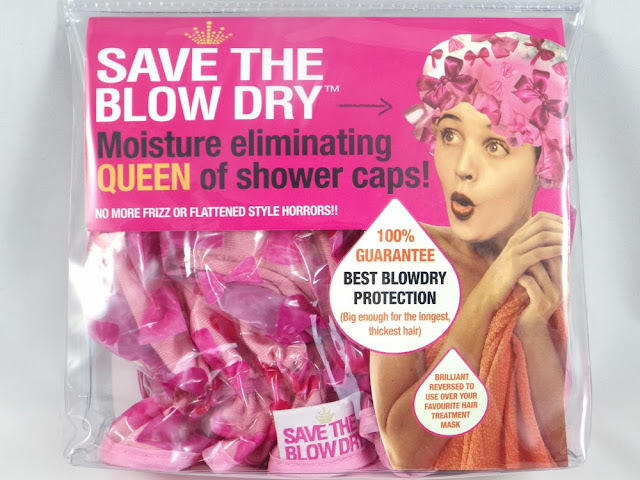 The rim of the Save The Blow Dry shower cap is elasticated so that it fits securely round your head and stops any hairs from escaping. The cap is very roomy, but it means that there is plenty of space for those with longer, thicker hair. As well as being used for in the shower, it can be turned inside out to be used over a hair mask or treatment. Save The Blow Dry costs £14.95 and for every one sold, the brand will fund a fortnight's safe drinking water for a family in the desert region of Khandel in India in association with the charity Khandel Light. I have quite short hair so I find it quite easy to get my hair safely inside Save The Blow Dry. The only thing is because the cap is quite spacious, I do find it sits quite low, however it is comfortable and feels secure. 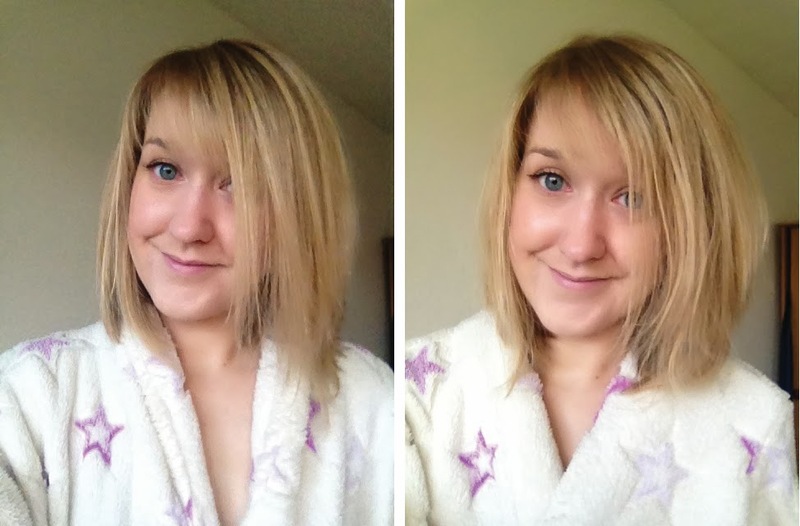 Below I have pictures of my hair before having a shower wearing Save The Blow Dry and then again afterwards. I do apologise for the poorer quality photos, but I took them on my phone as my other half had our camera at the time. As you can see from the photos, my hair is still just as volumised after my shower as it was before. However there is definitely more texture, as you can see some of the ends have curled and kinked when they were straight before. I find this often happens with my hair - if I leave it to dry naturally it would look like this (if not worse) and so if it is humid, wet or windy it tends to revert back to its natural state. I think it must have been the heat from the shower that did this, as my hair wasn't wet or damp when I removed Save The Blow Dry. I have quite hot showers and so unfortunately the inner layer didn't stop the humidity getting through completely. However big thumbs up in the volume stakes - I'd rather straighten out the ends of my hair than try (and fail) to get some volume back into it. Unfortunately Save The Blow Dry didn't 100% work for me, however I still think it's a great quality product that could work for other people and a great concept. I highly recommend if your primary objective is to keep your hair big and bouncy. If like me your hair is prone to kinking and curling, you may not find this product as worthwhile but it really depends on what you want to get out of it. 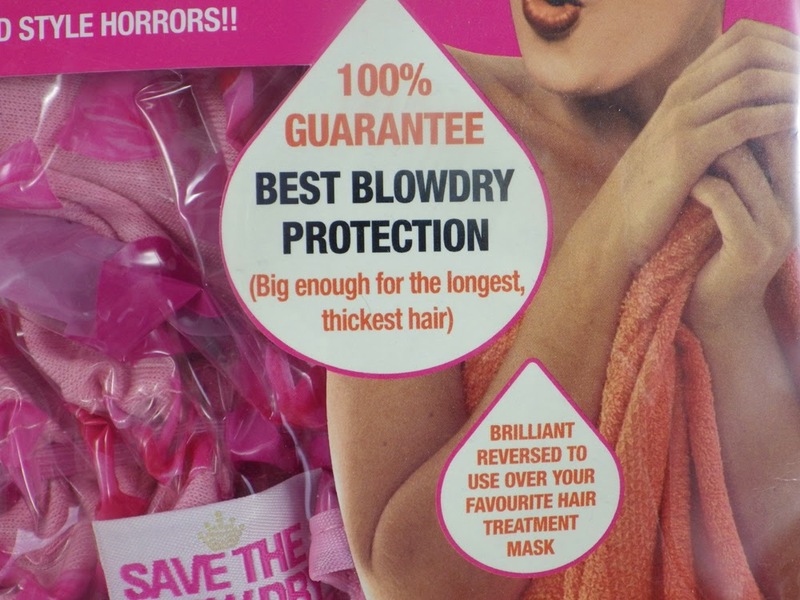 Save The Blow Dry can be purchased here and delivery only costs £1.00. 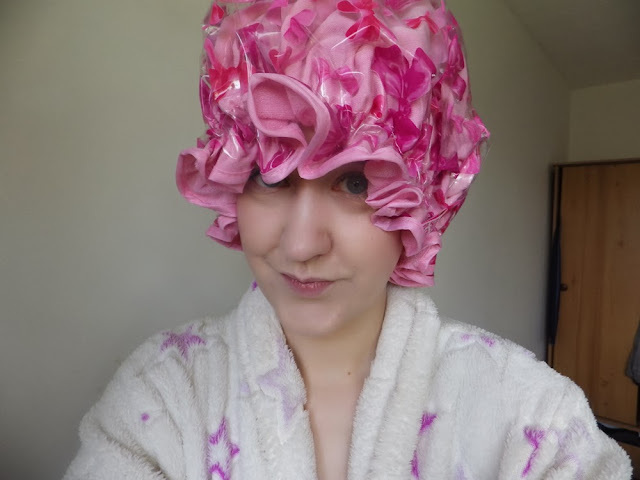 Do you use shower caps? 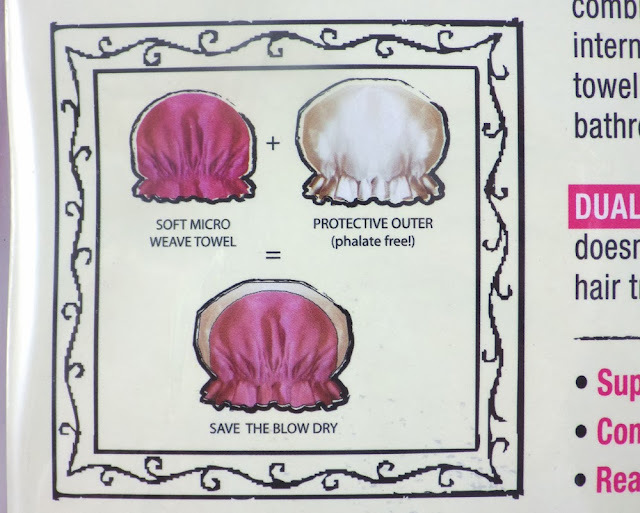 What do you think of Save The Blow Dry? P.S. This product contains a PR sample. This does not affect my opinion of the product. Oh noes! I read another review where it worked 100%. Now I'm scared to try it, it sounds a bit like all the others. SOB!